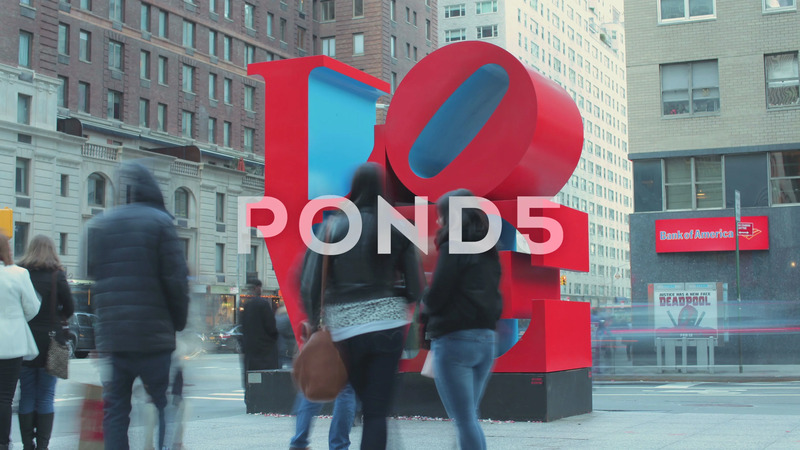 Description: New York City, NY, USA - Feb 27, 2016 - Time lapse of visitors to LOVE sculpture on corner of 6th Ave and 55th St in New York City. Love Sculpture originally by Robert Indiana. Editorial Use Only.